Back in April 2016, a seal made its way into the Charles River. Employees at the Museum of Science said Tuesday they spotted what they believed to be a seal swimming in the Charles River. The animal was seen enjoying the murky waters around 11:45 a.m. behind the museum, in an area by the Longfellow Bridge, a span that connects Cambridge and Boston. 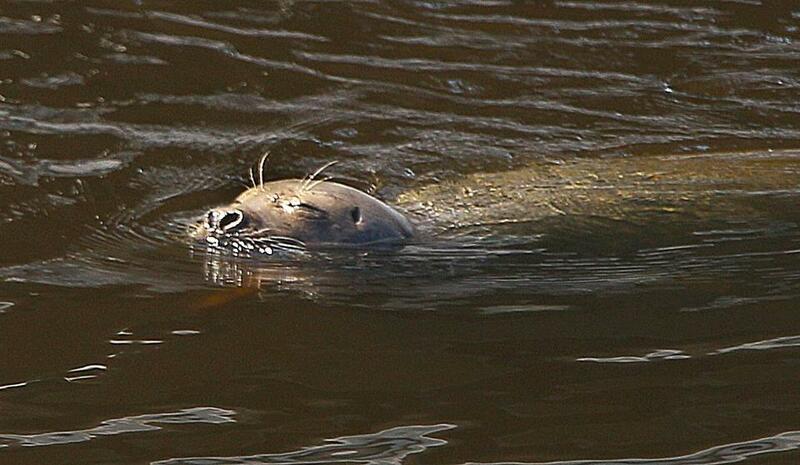 The sighting could mark the return of the same harbor seal — or seals — that snuck through the Charles River Dam locks last year in search of freshwater fish. The dam has three parallel locks that separate the harbor from the river. They are located just beyond the Leonard P. Zakim Bunker Hill Memorial Bridge, and are operated by staff from the state Department of Conservation and Recreation. Workers open and close the locks for various reasons, such as allowing spawning fish to pass through. Experts theorize that the animals may have learned to wait at the entrance to one of the three locks, and then sneak through when the opportunity presents itself. Seal encounters were reported up and down the river last spring, as far away as the Boston University Bridge. In one instance, a seal was caught lounging on a dock near Community Boating Inc.’s boathouse. Tony LaCasse, a spokesman for the New England Aquarium, said staff are aware of the most recent sighting, and will monitor the situation. LaCasse said he received a call last week from workers at the dam who reported seeing a seal inside one of the locks, going after some grub. “They said it was following fish into a lock, but they didn’t know if he went through,” said LaCasse, calling the water a “milky green” that limits visibility. It’s likely, he said, that the seal seen by museum workers Tuesday could be one of the same animals seen last spring. Because harbor seals have an affinity for “hauling out” of the water to get comfortable on docks, LaCasse is asking the public to give the animals some space in the event of an encounter. “Enjoy the fact that Boston has incredible marine wildlife — not only at its doorstep in terms of whales at the mouth of the harbor, but it’s got seals in its freshwater river,” he said.